You are currently browsing the tag archive for the ‘Pan Macmillan’ tag. 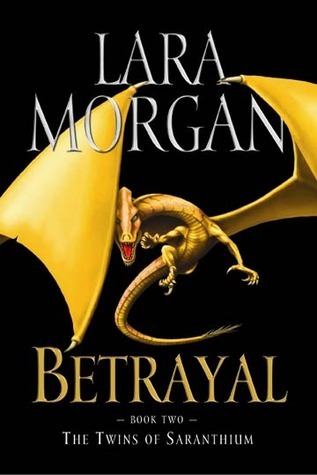 Betrayal is a difficult book to review, because it’s so middle of the road; didn’t love it, didn’t hate it, didn’t find it very memorable. There’s not much wrong with it, but there’s also very little to make it stand out from the great mass of published books. The novel is book two of a series, and I hadn’t read book one. Although this obviously left some holes in my knowledge of the plot, it didn’t feel very hard to pick up. I was pretty confident I knew what was going on fairly early on. Unfortunately, I didn’t find it very interesting. Shaan and her twin Tallis have escaped from Azoth – a fallen god intent on conquering the human world. He has enslaved the people of the Wild Lands, and amassed an army of human-serpent warriors (created through a cruel magical process that often involves unwilling subjects). He has plans to invade, and he intends to implement these very soon. The only chance humans have is to unite against him. 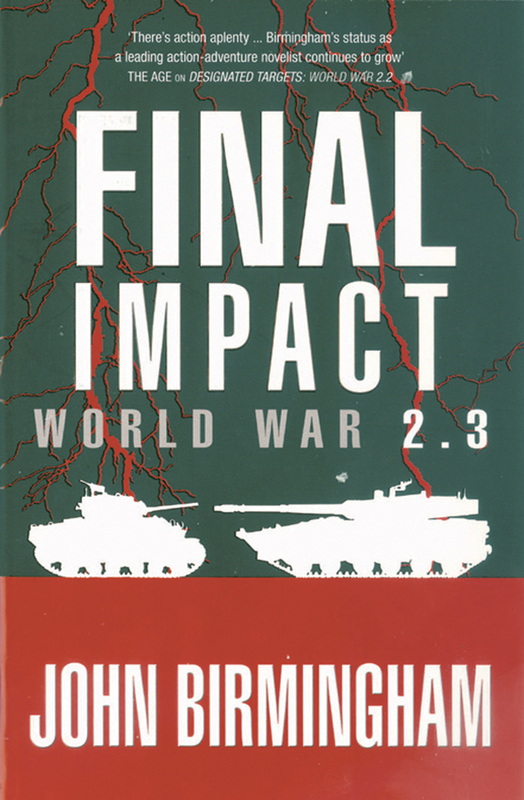 Final Impact is the final novel in a trilogy that tells the story of a world in which World War II is disrupted when a military Taskforce from the 2020s is accidentally thrown back in time by an experiment goes wrong. The Taskforce lands in the middle of the Allied fleet en route to the Battle of Midway. Once the resulting firefight has ceased, and the confusion sorted out, the Taskforce sets its eyes on ensuring that the Allies win World War II, as they “should”. Unfortunately the Taskforce has already considerably warped the original course of the war; and even more unfortunately, some parts of the Taskforce have fallen into the hands of Axis powers, meaning they too have access to historical records about the outcome of the war and particular battles; and access to technical information about weapons not yet invented. 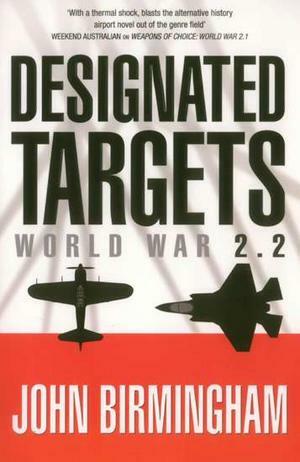 Designated Targetsis the second book in a trilogy that tells the story of a military taskforce from the 21st century, who are accidentally thrown back in time 80 years, finding themselves in the middle of World War II. In the confusion of the initial “Transition”, as the accident comes to be known, the Taskforce inadvertently does considerable damage to the Allied fleet heading to the Battle of Midway – not a great start to their new lives in the 1940s. I was rather disappointed by this novel, in part because I’d enjoyed other novels by Birmingham and expected to find the same pleasure in this one. I didn’t; ultimately what let Birmingham down was his characterisation, rather than his ideas, plotting or prose. 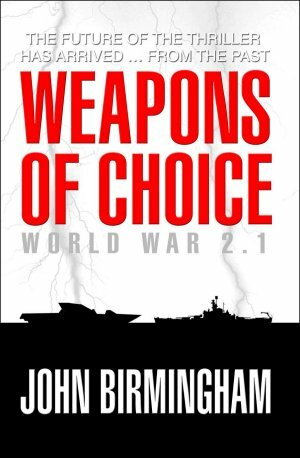 Weapons of Choice is a reasonably good novel, and many people will enjoy it, but I felt it fell short of what it could have achieved. This is the first novel of a trilogy. In this novel, a near future military taskforce is accidentally thrown back in time by an experiment gone wrong. They land right in the middle of the US fleet heading to the Battle of Midway, and the fleet and the taskforce promptly proceed to shoot each other up. Once the initial confusion is resolved, it becomes clear that there are two essential problems. One is how to ensure the Allies win World War Two as they’re “supposed” to; and the other is the impact of the cultural attitudes of taskforce members on people of the 1940s. No-one seriously thinks the taskforce can be returned to their own time, so this isn’t treated as a problem. 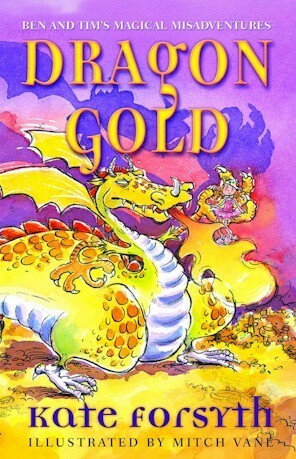 Kate Forsyth’s Dragon Gold is a novel for younger readers that takes most of the staples of fantasy writing (dragons, princesses, pirates, flying carpets) and smooshes them into a plot that, if nothing else, will prepare the audience for Harry Potter.